South Pacific Motorcycle Tours: Why choose us? We offer a personal service for all visitors to New Zealand - and the locals! Enjoy superb reception facilities, spacious presentation and workshop areas, tea and coffee on tap, a great atmosphere, and our undivided personal attention. We offer complimentary transfers between our Christchurch Base and Christchurch city or airport. On our fully guided tours we stay at Larnach - New Zealand's only Castle! Reliable - We're members of the Rental Vehicle Association of New Zealand. Value - Itinerary days are filled with riding days and activities, not transfers and air-travel! Kiwiana - We showcase the real New Zealand, our native flora and fauna, our delicious food, great beer and award-winning wines. Quality - Our latest model machines and all rental gear & equipment are maintained to the highest level and presented to you in immaculate condition. 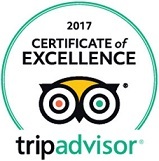 Check out our recent reviews on Trip Advisor for comments from previous clients and more info about us.